Dan Young cracked 136 for Orton Park against Hampton. 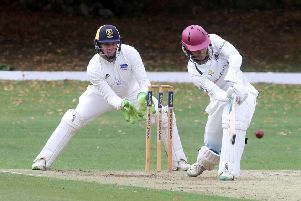 Dan Young cracked 136 as Orton Park beat Hampton by two wickets in a cracking Hunts Division One game (June 17). Orton Park clinched victory with one ball to spare. Jon Dee stroked 92 of Hampton’s 45-over total 272-8. Young’s innings was the third highest locally of the past seven days. Stuart Dockerill clamed 6-22 for Castor against Warboys.